A friend asked if I had made any ornaments this season and I hadn’t. Which made me sad because I love making ornaments. They work up quickly. 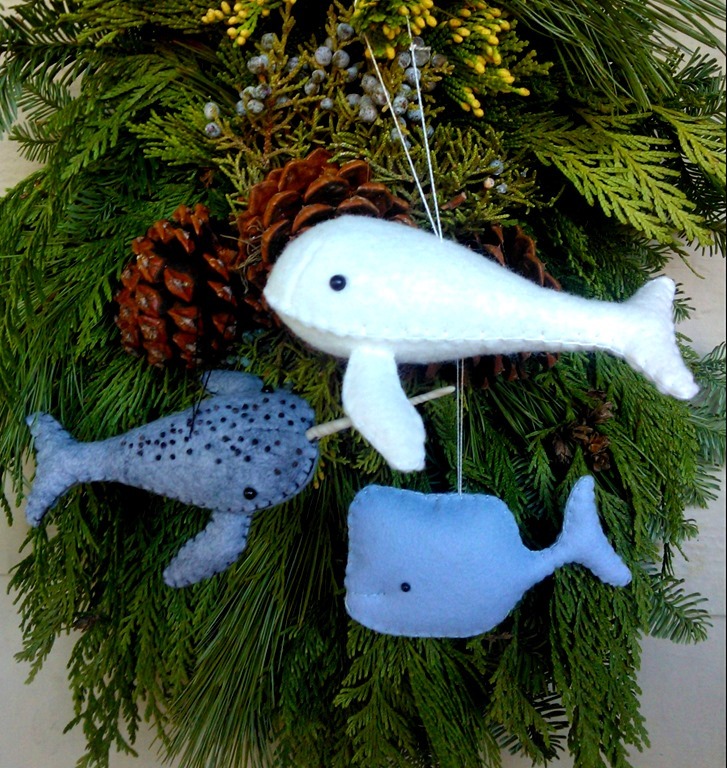 I asked if whales would be alright so I made three different ones for her to choose from. 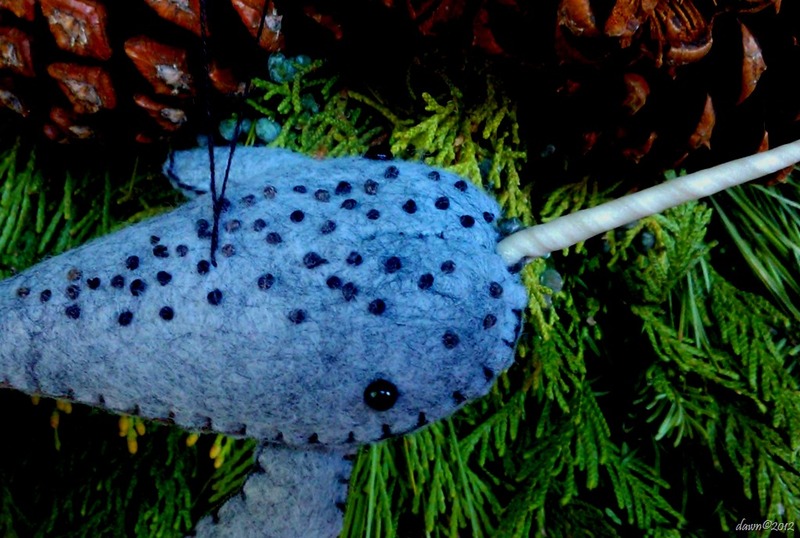 My favorite is the little narwhal. I made the tooth from Pearl Sculpey clay and it turned out so well. I rolled a small piece making one end smaller than the rest. When it was the length and width I wanted I twisted it gently over and over, giving it the true texture of a narwhal tooth. lol! These were a special order this year, maybe I’ll make a few more though. I’ll keep you posted.